The Langrisser series, which has been one of the most popular strategy RPGs of its time and rivalled only by the Fire Emblem series, returns in the form of a mobile game for both Android and iOS users worldwide thanks ZlongGames. Since 1991, the Langrisser series has captivated the hearts of millions of players despite a lot of its games not having official English translations. It was known in the west as Warsong which was the release title of the original Langrisser for the Sega Genesis. For fans of the series as well as new strategy RPG players, Langrisser Mobile offers a variety of unique characters and areas hailing from its original games. 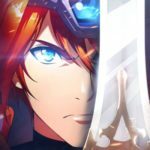 If you enjoy turn-based tactical gameplay where you can fully command armies with unique heroes sporting a plethora of customizations and class upgrades, then Langrisser Mobile is definitely for you. Langrisser Mobile takes you back to the fabled continent of El Sallia where the battle between good and evil once again erupts and the quest for the legendary sword begins anew. Summon, collect, and choose returning characters from the series to form a formidable team as you journey through an epic adventure. With several paths to choose from, your progression in the game and its story is not strictly prohibited by any linear requirements. Your actions consume stamina though, so choosing between battles to engage in may revolve around how much you have in store as well. There are a variety of upgrade choices to choose from as your character unlocks a different class and you can freely shift from one class and army from one battle to the next. Like most strategy RPGs, patience and strategy will be the best weapons in your arsenal as you can take as much time as you need to determine the best course of action to perform in every given scenario. Each stand-off won’t always be a case of “whoever is more powerful will win” as there is an affinity system that makes some armies stronger against one kind and weaker against another. It’s a constant test of wits and tactics whether you are playing against enemies or other players’ teams. The initial battles you engage in as you step into the game introduces you to the story and characters as well as provides you with an easy-to-follow guide as to how to play the game. In a sense, the game’s tutorial cuts in time after time as you make progress and unlock new features. There will be several instances where you will be given an idea of how affinities work which helps you devise your own strategy in forthcoming battles. Your starting characters’ unique skills will be showcased as well to highlight the best times to use them in battle. As you unlock additional game modes, you will also be taken for a spin on it to have an idea of its various mechanics. There are loads of things to do and explore and despite the various systems and mechanics which may be new to some players, each bit can be easily learned and understood. 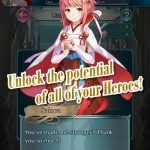 If you are experiencing challenges on how to best strengthen your characters and progress through the game more efficiently or if you are simply looking for additional tactics you can use to outwit your enemies in battle, then our Langrisser Mobile beginner’s guide can definitely aid you in making your team grow stronger to charge through every battle you encounter in the game. Langrisser Mobile holds true to continuing the epic storyline that engaged its fans since the series started. In this mobile version, the story doesn’t just introduce you to characters and basic game mechanics, it also provides you with some of the essential necessities you will need to strengthen your team and progress through the game. Some chapters you complete will reward you with new characters as well as shards to rank up the first three that you have. You will also receive several summon tickets to acquire additional characters and equipment for your selected team. Early on, you will be introduced to splitting paths and you can choose to proceed immediately on the main story, or take a side trip and earn additional experience points and some loot to boost your strength for the upcoming battle. Though primarily, what you would want is to progress the story as soon as you can, feel free to take on those additional battles if it is easy enough to take on. As it is, there will be optional battles that may be a little too challenging for you on your current level, such as boss fights that may take a bit more strengthening up first before you can proceed to engage. In such instances, don’t hesitate to skip those first and proceed directly to the next chapter location to further boost your level and the power of your team. Focusing on the story doesn’t mean ignoring everything else but rather, prioritizing it other game modes whenever possible. As you reach new levels and unlock additional game modes, be sure to hop back into pursuing the succeeding story chapters with your limited stamina and just revisit other areas and game modes once you hit a rather difficult point to strengthen up or when there are pre-requisites you need to complete first before proceeding to the next chapter. Each hero you acquire will have their own set of soldiers and while later on you can switch the type of soldiers each hero will use in battle, for starters, you have to ensure that your team has a broad range of troops to effectively handle all the enemies on the map. The most basic classes and soldier types follow the rock-paper-scissors method in determining each of their strengths and equivalent weaknesses. For starters, infantry types are strong against lancers while weak against cavalry. Lancer-type heroes and soldiers are strong against cavalry and, in contrast, weak against infantry. Lastly, cavalry types are strong against infantry but weak against lancers. There are other classes that make this a little more complicated, though. There are Healers that are strong against Demon Tribes and Archers that are strong against Flier types. These ranged classes won’t do well against the first three basic classes in close combat. A flier unit may not be particularly strong against anything, but they can move the farthest in the map as well as pass through any sort of terrain without suffering penalties. 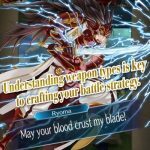 There are special units like Sailor, Mage, and Assassin that neither possesses any advantage nor disadvantage against all classes. Beyond classes and affinities, you need to pay close attention to each hero’s talents and skills as these traits contribute to each member’s effectiveness most especially in combination with the rest of team’s abilities. As you may acquire new heroes that you would want on your starting team, be sure to check each one’s talents and skills by clicking the Hero icon at the bottom of the screen, clicking details, and then the Info tab of the selected hero. As an added wild card to spice up your tactics, keep in mind that heroes particularly weak against a type of enemy can still win through proper use and utilization of skills. It may take a few tries in battle to decide on which characters you would want to have on your team. Don’t be discouraged to choose Matthew, Aimeeda, and Grenier to be a part of your team if the rarity level of other characters you have are higher than theirs. By the end of Chapter 6, these main characters will upgrade their star levels to two and will practically be at least on equal footing with most of your other heroes. If you do get higher rarity characters early on that can fit a 5-person team though, feel free to squeeze that hero in. While levelling up your heroes in Langrisser Mobile is only restricted by your account level, you may still want to hold off on fully upgrading your starting team this way early on as there will be a lot of opportunities to acquire better heroes within the first few chapters of the story. Like any online RPG, keep in mind that every bit of resource you earn is finite and you would want to save some in case you will be swapping new members into your team sooner or later. In any case, levelling up is not the only means of enhancing your hero, so be sure to perform other enhancements that won’t necessarily waste your precious resources. Additionally, what’s essential is ensuring that your team member’s levels are at least at par with the recommended level for the battle ahead. Not that it will be impossible to win if you are under levelled, but rather just be a lot more challenging. On top of levelling up your heroes, another basic method of increasing their power is through equipping gears. As you make your way through the initial chapters, you will definitely acquire some basic gears. Not every piece of it can be equipped by everyone though while some are good for several of your team’s members. Each character can equip a weapon, a helmet, an armor and an accessory. You can always just use quick equip but you may want to have a prioritization method for characters that share the same gear requirements. As gears can be upgraded as well through Forge and Breakthrough, be sure to do so on equipment which you will most likely will be using for a long time. For starters, level up the gold ones first as they have higher rarity and have much better stats than silver and bronze gears. Once you max out the gear’s level, you can now raise its star level through Breakthrough but since that would require an extra copy of the equipment, it may take some time before you can do that. 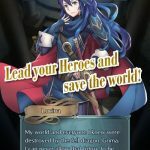 After some battles, you will most likely be able to determine which of your heroes are more likely to stay as a part of your main team and if that will be the case, feel free to level them up to the point where they can advance their class and become stronger. Class advancement requires a hero to be at a certain level and needs you to have enough Training Certificates for the character’s class to be upgraded. These certificates can mostly be earned through various stages in the Time Rift. As you continue to perform class advancements, you will unlock mastery points that contribute to the total class mastery needed for you to move on to a higher class. Every character class has their own unique and non-linear class tree and though you can eventually unlock each and every one of it, set your eyes ahead for which one you would want to prioritize for each member of your team. Every change of class unlocks a new set of soldiers as well and this feature gives you better options on each coming battle as your heroes with multiple troops to choose from become more versatile in combat. Every online RPG that holds gacha features make it all the more exciting. In Langrisser Mobile, you can obtain additional heroes and gears through the Summon icon at the bottom of the screen. As you continue to play, there will be several instances for you to earn both Friendship (silver) and Trinity (gold) vouchers and while it is understandable to spend it as you earn it due to excitement, try to control yourself and use the vouchers you collected to cast a 10x summon instead. While the cost will still be the same, there is an assurance of getting an SR or higher quality hero or equipment. For Friendship Vouchers though, there are no such added perks so feel free to spend it as you wish. Arena Battles in Langrisser Mobile are fought against A.I.-controlled hero teams of other players. As such manually playing here gives you a lot of advantages. This is the reason why you can get twice as many points for engaging in auto-battle instead. With auto-battle though, having a higher team power will not guarantee an instant victory. Be sure to check the team roster of the player you are challenging before you actually engage. After engaging, you can still check details of your enemies’ characters and soldiers, so make sure you do and adjust your troops as you see fit. Be sure to click on the attack sequence as well and make the needed adjustments before the start of the battle. As you will be the one to make the first move, what will most likely happen is that your team will move in close enough to the enemy and the enemy will strike them first (ouch! ), so be ready to start fighting back with 4 heroes against 5 enemies. Fighting in the arena and consuming your 5 daily attempts is important because you not only gain Honor Coins and Trinity Crystals based on the total points you earn, there are additional earnings you can gain through the chests that can be unlocked based on the total number of wins you have relative to the difficulty level of the opponent you have beaten. The Time Rift in Langrisser Mobile is an awesome nostalgic trip for fans of the series as it lets you dive into some chapters of the original Langrisser game. In addition to the broad possibilities you can experience in normal battles, there are unique mechanics that may be implemented on some of the stages here. You will have to progress the Time Rift as it becomes a pre-requisite for you to progress on the main story. More importantly, the Time Rift will be your main source of Training Certificates needed to use on your hero’s class advancement so you will most likely farm some stages here from time to time. There are first-time completion rewards to be earned here as well and on top of that, you have to check the list of achievements per stage as the rewards for completing them are very important for you and your team’s growth and development. While playing on the main stages in each Time Rift chapter, be sure to check on unusual things in the map as there are hidden treasures that contain special items on each one of them. Lastly, aim for getting 3-star ratings on each stage to unlock special chests that contain Memory Shards of heroes as well as other great rewards. Now that you are familiar with what you may want to prioritize as far as game progression and character and team development are concerned, we can move on to some basic battle strategies you need to know and understand to keep the upper hand in most battles as much as possible. Similarly to the first two Langrisser games, in Langrisser Mobile you can freely choose which of your characters can perform an action first within your turn. This is very important to keep in mind as you may be used to turn-based strategy games where characters within the map all follow an action timeline based on each character’s speed. As your first character will be highlighted at the beginning of the turn, make it a habit to switch to your other characters to see which one should move or attack first in relation to the enemies’ classes and respective positions. It may take a bit to get used to it, but once it becomes part of your routine, it will be a huge advantage for you in battle. Keep in mind as well that you don’t always have to make an action for all your heroes in play as you can freely choose to wait and in some situations, deciding to do so leaves better results. This is especially true for the team’s healers even though the healer’s army can still do damage against enemy units. In some occasions, you should rather leave them back a bit as their healing may become more important on turn 2 onwards so keeping them safe may become a priority. As Langrisser Mobile is a strategy game true to genre’s very essence, patience is a key ingredient for you to nab more victories as you play the game. There are always more ways than one to end a battle and for some, finishing it fast may seem like the best way to go. The same doesn’t always hold true though especially if you want to ensure your team’s victory in every battle. Story battles as well as side quests do not have turn limits which means you can have as much time and as many turns to ensure victory for your team in battle. Oftentimes, you may be inclined to move as far across the map as you can just to get closer to enemy units and more likely, doing this will just put your heroes in a vulnerable spot as when it is the opponent’s turn to make their move, they can reach and attack your units. Be sure to check the move capacity of enemy units as you try to navigate the map to situate your heroes more strategically. Only move forward enough so that when your opponent chooses to engage, they will only make it close enough for you to launch the first attack on them. With patience in mind, you can have a better setup by moving more carefully even though you may cover less distance. In some cases, it is better to reel enemies in close enough for your heroes to gang up on them and taking each enemy unit down one at a time while holding back to recover health with your healer comes into this play well enough too. There will always be a certain level of aggressiveness needed to win over enemies, just be sure that you don’t grow too aggressive to leave openings that may turn the tide of battle against you. Opponents will choose to attack units they are strong against but will attack anyway given no other choice, even if they are fighting against heroes and units that are their supposed weakness. For example if an enemy cavalry unit can reach and attack both your infantry and lancer units, they will always choose to attack the infantry. However, if they can only attack the lancer unit, then they will go for it even if it kills them. As this is a typical flaw in the enemy’s tactics, be sure to take advantage of it by naturally placing the specified units to lure in the enemy’s respective weaker units. Relative to this, heroes with the guard ability can be exceptionally used to exploit the enemy’s tactical plays (or lack thereof). You can freely set up one hero to be reached and attacked by a supposedly stronger enemy unit but as you activate guard on your unit, things will end very differently. As an added room for strategic plans and set-ups, the variety of terrains and map lay-outs in the world of Langrisser Mobile is designed to help you devise better strategic approaches to every battle. While some paths slow down non-flying units, make sure to take advantage of this as enemy units typically won’t pay attention to their surroundings and just move forward to where your units are. Trees and forests are especially helpful when multiple enemy units are close by since they boost your units’ defense. Likewise, using bridges and narrow pathways to create a bottleneck for approaching enemies makes for a great defensive strategy as well. There will always be situations where you are outnumbered or even overpowered but squeezing strong enemy units into a lane can make it easier for you to pick them off one by one. There are also units that become more powerful in water areas and you will encounter a lot of them throughout the game. Though you can still defeat these units while they are on water with some hard work, you can always wait for them to come to land or at least attack them with ranged units so they won’t be able to readily retaliate. On top of the immediate rewards you receive from quests and battles, Langrisser Mobile offers loads of additional in-game rewards you can earn by completing certain objectives from missions and events. Some of the tasks indicated in each category can be accomplished just by playing through the game normally and you might be surprised that you have already earned a lot of additional perks by the time you click on each of these icons. Under the Missions icon at the bottom of the screen, there are Daily, Challenge, and Achievement tabs each with its own set of objectives that reward you with much needed items and resources as you complete them. Be sure to check on the list occasionally as some may be easily be achieved and it is always better to acquire the rewards earlier on to boost your growth and progress. There are also time-limited events that reward you for simply logging in daily as well as progressing far enough in the game in terms of level. As the rewards you get here can include gears that are otherwise difficult to obtain, it is imperative that you exert the best effort to accomplish the objectives if you want your team to grow stronger faster. In addition to that, there’s an additional time-limited event called “Path of Light” which will reward you with a highly-coveted SSR quality heroine if you complete the necessary objectives. There are rewards to be claimed along the way and each one is a must-have so be sure to check on this and try to accomplish as many of the objectives as you can to claim the ultimate prize. Some rewards you earn go to your mail instead of directly being added to your inventory. There may also be messages from the developers with attached rewards on the mail so be sure to regularly check it out. There are still a lot more to discover in Langrisser Mobile and perhaps even more features will pop up in the future. For now though, this is where our Langrisser beginner’s guide ends and if you read through all of it, we are confident that you will have an easier headstart once you play the game. As we will continue to play and explore the game after launch, be sure to check back with us as we may publish another guide on this excellent game. Thanks for this useful guide!